Getting a compliment can make the world seem brighter. Maybe this is what inspired New Hampshire residents Kathy Chamberlin and Debby Hoffman to create National Compliment Day in 1998. How to celebrate today’s holiday is simple. Take a look around and when you see something about someone that you like, tell them! Does your friend’s sense of humor always lift your spirit? Tell them! Did your employee do a great job today? Tell them! Are your kids the light of your life? Tell them why! You don’t have to limit your compliments to friends and family either. Giving a compliment to someone you don’t know may just make a big difference in their day. So, today, be generous with those nice comments! Giraffe was self-conscious about his neck—and why not? After all, it just seemed “too long. Too bendy. Too narrow. Too dopey” and “too” so many other things. All-in-all, he summed it up this way: “Yes, my neck is too necky.” Giraffe could feel everyone staring at it. He’d tried “dressing it up,” and hiding, but nothing made it better. No other animals had such a ridiculous neck. Zebra’s was stylishly striped; Elephant’s was “strong and powerful, yet graceful”; and Lion’s was “adorned with a glorious mane of flowing locks.” Even the reassurances Giraffe’s mom gave didn’t make him feel better. In despair, Giraffe laid his long neck on a rock and sighed. But the rock turned out to be a turtle shell—with a turtle inside. Image copyright Lane Smith, 2018, text copyright Jory John, 2018. Courtesy of Random House Books for Young Readers. What luck! Turtle had been watching Giraffe from afar and thought his neck was pretty spiffy. Turtle said, “Oh, how I wish my neck looked like yours! I’d get so much done in a day.” He longed to be able to look around properly and grab things that were high up. But instead Turtle was “saddled with this little excuse for a neck.” Turtle even demonstrated how far his neck could reach—which was not far at all. Giraffe was nonplussed to find another neck sufferer. But they were happy to have found each other. Turtle introduced himself as Cyrus, and Giraffe said his name was Edward. In this spirit of camaraderie, Cyrus confessed a secret. “There is a hill in the distance, which you can surely see from your great vantage. I’ve stood on that very hill for seven straight days now staring skyward, watching as a single piece of fruit—a lone banana!—slowly changed from green to yellow, ripening.” Cyrus’s frustration poured forth as he explained how he’d spent sleepless nights waiting for the fruit to drop so he could taste just a bit of it. Then came the disappointment and self-recrimination as he revealed how foolish he felt as he stretched his “neck toward those greedy branches, only to be limited by my own physical shortcomings.” He topped off this soliloquy with a small smile. Edward summed it up, just to be sure. “You want a banana from a tree.” That is indeed what Cyrus wanted. Easy as one, two, three, Edward plucked the banana from its branch and dropped it in front of Cyrus. Cyrus gobbled it up and declared it delicious. In thanks, Cyrus complimented Edward on his “impressive” neck that allows him “to do amazing things.” In return, Edward complimented Cyrus’s neck, saying “it’s elegant and dignified, and it works well with your shell. They each appreciated the other’s viewpoint then Edward had a suggestion for his new friend. Soon, each was smiling and complimenting the other on how they looked in their handsome bowties. And for the first time ever, both Edward and Cyrus felt good about their necks. Who knew animals have the same insecurities as people? Jory John, that’s who—much to readers’ benefit! John’s completely original story about a giraffe and a turtle who both despair about the state of their necks will make readers laugh out loud even as they empathize with these two endearing characters. Edward’s flowery reveries comparing his own imperfect neck to those of his fellow animals and Cyrus’s burst of vexation at the limits of his neck are hilarious—and, really, who doesn’t feel this vociferous sometimes? Following this, the friendship forged by Edward’s ease at fulfilling Cyrus’s simple request provides a satisfying ending that’s all the more charming for its modest honesty—and bowties. When Jory John and Lane Smith team up, you always know you’ll be opening the cover to an exceptional experience. Here, sweet Edward juts onto pages with a neck so long that often only his head and neck, or body and neck, or just his neck appear. His attempts at disguising his most noticeable feature under neckties, behind palm trees, and in other natural surroundings will only make readers love him more. Edward is a born storyteller with a beautifully inlaid shell and an expressive face that makes his confession all the more touching. Alert readers will notice that the supposedly gawking animals all have their own unique features and perhaps are as self-conscious as Edward is. The muted and mottled browns, greens, reds, and golds that color the textured images are perfectly suited for the natural environment, and a gatefold page that flips up to let Edward procure the banana will delight kids. Giraffe Problems is a must for fun story times as well as for when a child (or adult) needs a bit of a boost. 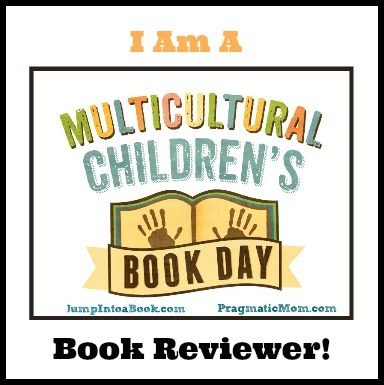 The book would be an often-asked-for addition to home, classroom, and library bookshelves. And if you’re looking for more adorable animals with problems, check out Jory John and Lane Smith’s Penguin Problems! Discover more about Jory John and his books on his website. To learn more about Lane Smith, his books, and his art, visit his website. Sharing a compliment is a great way to brighten someone’s day and make new friends! 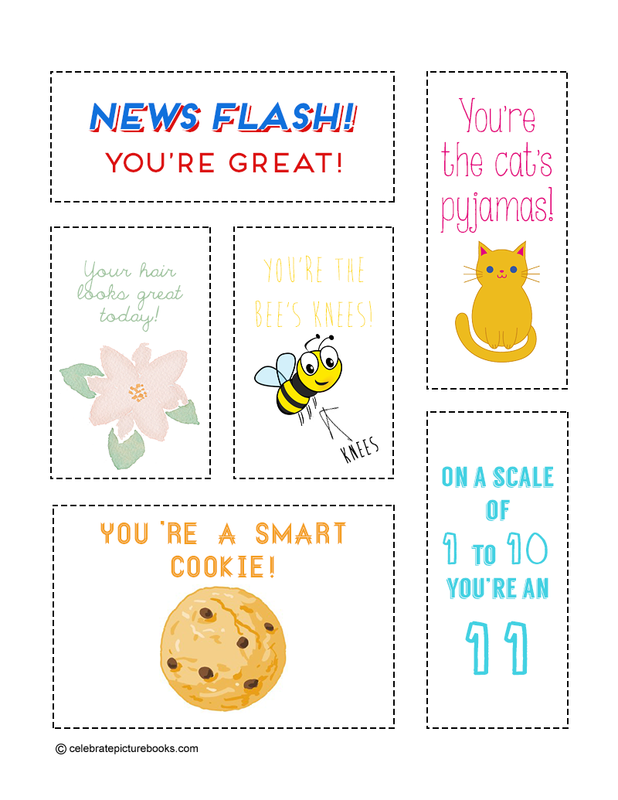 With these printable cards, you’ll always have a sweet compliment at hand to give to a friend, a teacher, a librarian, or anyone who looks as if they need encouragement.